The Apocalypse: Vega - The war begins here! The Capella star has gone supernova. Fight as a pilot stationed on the GTD Messana in the Battle for Vega. Discover many secrets of Vega, join the battle against Shivans, and meet previously unforseen characters. You are Lt. John Miller and your wingmate is Cap. Alexander Johnson, and together, you both have a destiny that awaits. The Apocalypse: Vega is a prologue to the upcoming series of campaigns. 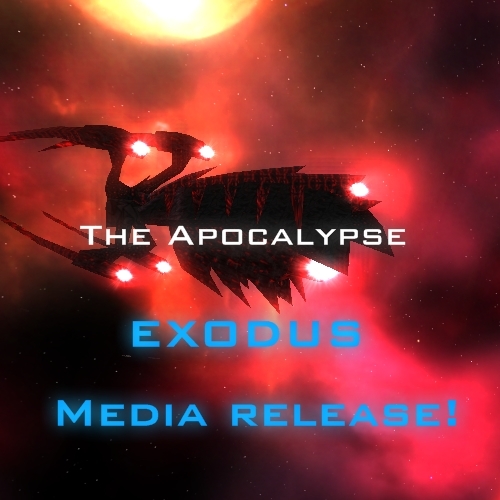 19th August 2009 - The Apocalypse: Exodus screenshots release! The next campaign will be called The Apocalypse: Exodus. Now do to the Forum and enjoy the official screenshots! 14th July 2009 - The Apocalypse: Vega English version release! Finally, I'm ready to release the english version of The Apocalypse: Vega. It's waiting for you to get in downloads section. Get it while it's hot!! If you want to volunteer in correcting grammar, give me a hint via Forum private messane or contact e-mail that you can find in campaign readme file. 12th July 2009 - Going public! Finally, I'm ready to go public with this website. Thanks to Flaming Sword, english version of The Apocalypse: Vega campaign is being grammar corrected, to fit English language standards and Polish version of the campaign has been finally released! It can be found in Downloads section of the website. Polish FreeSpace players: Enjoy the campaign! English-language players, prepare for English version of the campaign soon!